Winding up my ramble on Asghar Farhadi’s break through film, A Separation (2011) which won a very well deserved Academy Award for Best Foreign Film, I wrote that I was hoping to sample further works from this Iranian director, at this weeks Robert Burns Centre Film Theatre Film Club I got my wish. 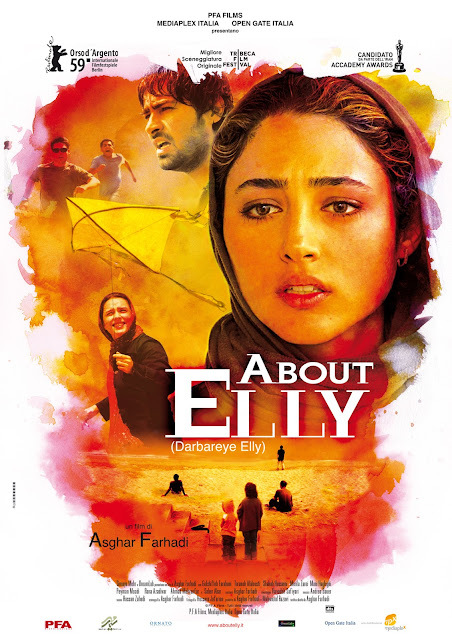 A short introduction from our host for the evening, Mr Steven Pickering, was followed by the film Farhadi made prior to A Separation, About Elly (2009) that has finally being released in the UK. With another of his films, Fireworks Wednesday (2006) which won the Gold Hugo at the 2006 Chicago International Film Festival, due out on DVD fairly soon. A weekend away for s group of friends! 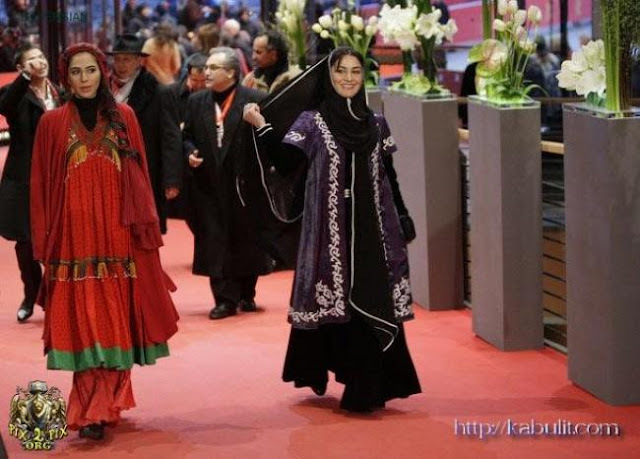 Steve informed us that this Persian language film we were about to watch was critically well received in its own country and had fortunately not offended Iran’s ruling Ayatollahs who had recently censored and jailed one of Farhadi’s directorial colleague’s. In fact one year after its release it was voted the 4th greatest Iranian movie of all time by the National Society of Iranian Critics! Elly last seen flying a Kite. What begins, as a straightforward relationship drama becomes what Steve describes as a ‘Hitchcockian mystery thriller’? 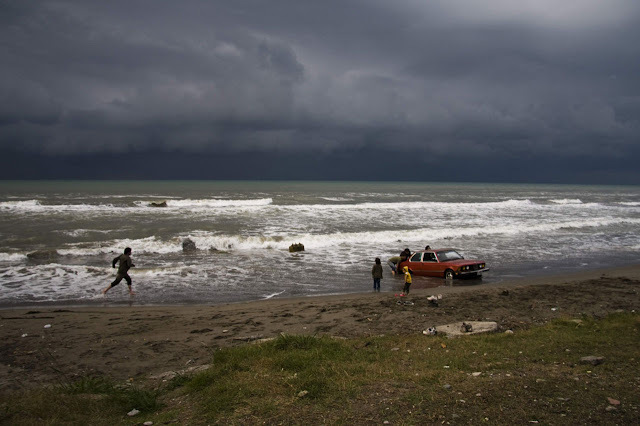 Its involves three middle class couples from Tehran who are old friends from college Amir and Sepideh, Peyman and Shohreh and Manouchehr and Nassi who drive with their children to the seaside for the weekend. Also accompanying them are Nassi’s brother Ahmad, recently divorced and back from living in Germany and Sepideh’s daughters’ schoolteacher Elly. Sepidah persuaded Elly to come hoping to do some matchmaking between her and the handsome Ahmad. Things begin to go a little pear shaped when the villa that Sepideh had booked for the weekend is only available for one night, which apparently Sepideh already knew! She tells the landlady that Ahmad and Elly are newly weds and therefore securing a villa on the very edge of the Caspian Sea. Events take a turn for the worse the following day when Peyman’s son has to be rescued from drowning and Elly goes missing. Has Peyman's really lost his son? This is a film primarily about the Tehrani middleclass and how they adapt modern life to their faith and how a small lie can lead to a tremendous untruth that can effect the lives of many people, something that could happen any where in the world but when a religion takes its laws seriously it can have terrible repercussions, far more than say in this country where things like infidelity are not taken seriously any longer. Is all hope fading that they can retrieve what the friends have lost? 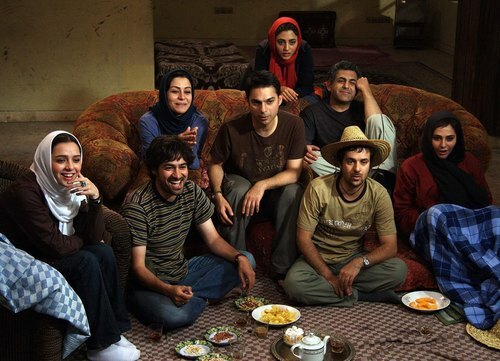 Although a little long this psychological thriller has an absorbing storyline helped by the superb direction of Asghar Farhadi and his handling of the extremely good cast who with the exception of Peyman Moodi, who plays Peyman in this movie and played Nader in A Separation, were all Iranian born. Iranian made films, at least the one’s I’ve seen, do seem to lack humour but I wonder if that’s in the translation? Farhadi assumes his audience to be intelligent people therefore he does not provide us with a musical soundtrack and we are left to determine the ‘mood’ of the film ourselves, I for one appreciate the complement. The cast at the Berlin Film Festival. 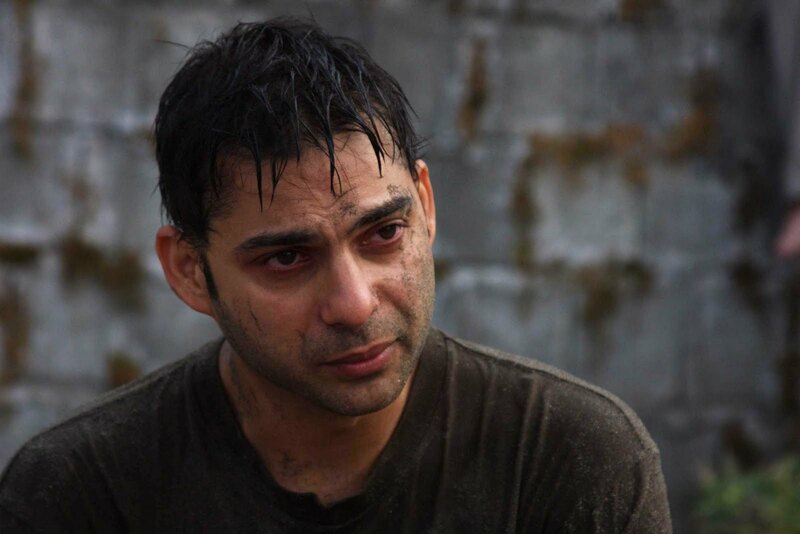 His efforts earned him the Silver Bear for Best director at the 2009 Berlin Film Festival.